Should you get a combo modem and router? In terms of performance, getting a top-notch modem and router will give you better speeds, customization and reliability than a combo device. So why, if at all, would you even consider getting a combo device? As we've previously mentioned, the only reason to get a combo modem and router device is if you don't like to do any form of set up or troubleshooting. The specifications of the separate modem and router are similar to that of the combo device. As you can see from the above example, the price of a separate modem and router actually costs $15 less than that of the combo device. Hopefully this clears up the myth that the combined modem and router is a cheaper option. With all that said, here are five of the top combo devices out there in 2015 and 2016. Similar to our earlier buyer's guide for the top cable modems, we didn't see a need to come up with an arbitrary ranking system that stresses over 0.1 of difference. Instead, the following combo devices are all top-notch and it's hard to go wrong if you bought any one of them. So what makes them terrific? Now in full disclosure, there are affiliate links to Amazon for these products. We thank all of you for your support in checking the products out as they really help to keep the site going. Specifications - DOCSIS 3.0 Cable Modem capable of download speeds of up to 343 Mbps and upload speeds of up to 131 Mbps. Wireless N Dual band router. In theory, a wireless N router should cover any device within a 300 feet (92 meters) radius while indoors and 600 feet (184 meters) outdoors. In the real world however, obstructions such as brick walls and metal frames can reduce the distance covered by around 25%. One complaint of the SBG6580 is that it doesn't allow concurrent dual channel WiFi. In other words, you have to connect either on the 2.4 GHz channel or the 5.0 GHz channel. Now, how many people have only 5.0 GHz compatible devices? Reviews - The SBG6580 has a rating of 3.6 out of 5 stars on Amazon from over 4,100 reviews. Looking at the distribution, 47% have given it 5 stars, 15% have given it 4 stars and 21% have given it 1 star. So you either love it or you hate it. Looking at the complaints, they are mainly around poor WiFi signal strength as well as disconnection issues. Solving the WiFi issue seems to be an issue of switching the router's frequency from 2.4 GHz to 5 GHz. The random loss of Internet connection has for the most part been fixed with an update to the firmware. 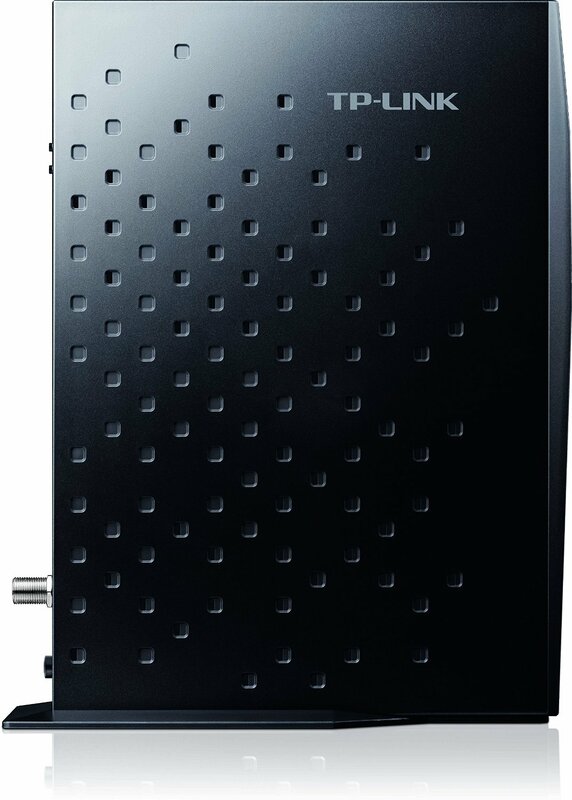 The newer ARRIS Surfboard SBG6782AC is an "updated" SBG6580 that will allow you to take advantage of the Wireless-AC communication standard with features such as beamforming for a stronger wireless signal. It is significantly pricier though, at $212. Compatibility - Compatible with Comcast, TWC, Cox, Cablevision, Bright House Networks. Certification for Charter still pending. Specifications - DOCSIS 3.0 modem with 8 downstream and 4 upstream channels allowing download speeds of up to 343 Mbps and upload speeds of up to 131 Mbps. The wireless-N router @ 2.4 GHz should cover any device within a 300 feet (92 meters) radius while indoors and 600 feet (184 meters) outdoors. As we mentioned , in practice this could be around 25% lower. Reviews - The NETGEAR N450 has a rating of 4.1 out of 5 from over 900 reviews on Amazon, with 60% giving it a 5 star rating. Most reviews have mentioned that it was plug and play, working straight out of the box. For a few users however, they required a call to the Netgear hotline, where a technician walked them through tweaking some of the more advanced features like power and channel settings, before the machine was up to speed. Compatibility - Certified for use by Comcast and TWC. Wireless-AC dual band router (2.4 and 5.0 GHz) with beamforming to increase the WiFi range and speed. Unlike the SBG6580, the Zoom AC1900 allows for concurrent dual channel WiFi, instead of having to switch between 2.4 GHz and 5.0 GHz. Reviews - The Zoom Telephonics AC1900 has an impressive 4.2 out of 5 rating from 233 reviews on Amazon. Even more impressive is the fact that 67% gave it 5 stars and another 15% gave it 4 stars - 82% of the reviewers gave it either a 4 or 5 star rating. From the reviews, most users didn't have any major problems with setting the device up, requiring the usual call to tech support to update the firmware. 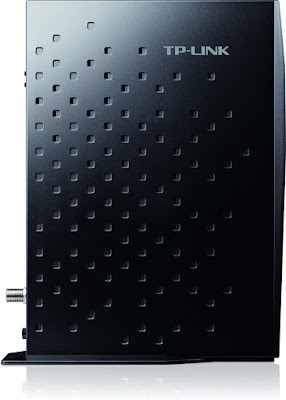 At $169, it's about $42 cheaper than the ARRIS SBG6782AC for similar specs. The only thing holding back this device is it's lack of compatibility with more Internet Service Providers. Compatibility - Compatible with Comcast, TWC, Cox, Cablevision, Bright House Networks and more. Certification for Charter still pending. Specifications - DOCSIS 3.0 modem with 16 downstream and 4 upstream channels allowing download speeds of up to 680 Mbps and upload speeds of up to 131 Mbps. Simultaneous Wireless-AC dual band router (2.4 and 5.0 GHz) with beamforming to increase the WiFi range and speed. Similar to the Zoom AC1900, the Netgear AC1750 (C6300) allows for concurrent dual channel WiFi, instead of having to switch between 2.4 GHz and 5.0 GHz. This reduces interference, for better WiFi connections. Reviews - The Netgear AC1750 (C6300) has a rating of 4.0 out of 5, based on nearly 400 reviews on Amazon. The majority of the comments have been positive - focusing on the fast Internet connection, good range and easy setup. The negatives mentioned are its size and the fact that it only comes with a 90 day warranty. Another issue that users have had is with the slow Web User Interface (UI) used for set up. Nothing too major in our opinion. Overall, the Netgear AC1750 (C6300) is a next generation gateway device that combines cutting-edge Wireless-AC technology with a 16x4 DOCSIS 3.0 modem. This makes it an ideal modem and router combo device for multiplayer gaming, HD streaming and general Internet connectivity. Compatibility - Certified compatible with XFINITY from Comcast, Time Warner, Cablevision, and Bright House. Pending certification for Cox and Charter. Reviews - The TP-Link Archer CR700 AC1750 has a 3.7 out of 5 rating on Amazon based on 101 customer reviews. 50% of users have given it a 5 star rating and another 29% gave a 4 star rating. Overall, a lot of positive comments focusing on the ease of setup, fast speeds, good range and a good admin User Interface page. If there is one negative that has been highlighted in the user reviews, it is that port forwarding is buggy. For a number of users, the device crashes/hangs, every time port forwarding is enabled. If you require port forwarding, it might be better to skip this combo device. Other than the port-forwarding bug, the TP-Link Archer CR700 AC1750 is a great next generation combo modem and router device like the Netgear AC1750 (C6300). A recommended modem and router combo device for multiplayer gaming, HD streaming and general Internet connectivity.